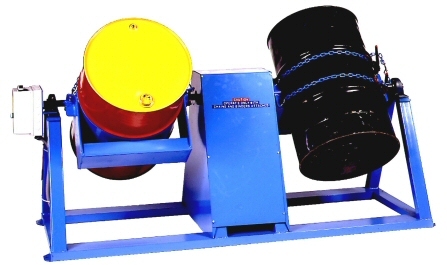 Use Morse End-Over-End Drum Rotators tumble a drum to mix and blend the contents. Turning drum End-Over-End with a drum tumbler provides a more aggressive mixing action. Morse End-Over-End Drum Tumblers turn your sealed 55-gallon (208 liter) steel drum end-over end to mix separated ingredients back into suspension right inside. Drum Tumblers Save Time, Labor and Money! 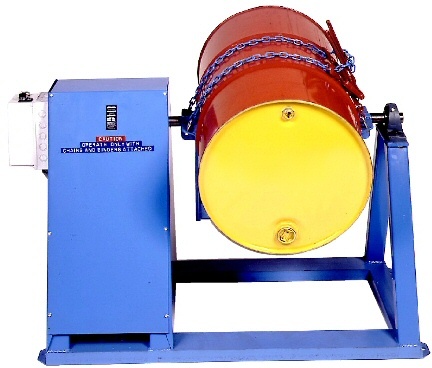 Load drum with your hoist or crane, or with optional Load Crane, and the model 41 or 41M Drum Lifting Hook included with each End-Over-End Drum Tumbler. Handle: 55-gallon steel (208 liter) drum with 22.5"
Note: End-Over-End Drum Tumblers are designed for a 55-gallon steel drum. To rotate fiber or plastic drum end-over-end, order custom End-Over-End Drum Rotator with Tilt-To-Load style drum holder or order Tilt-To-Load Drum Rotator. 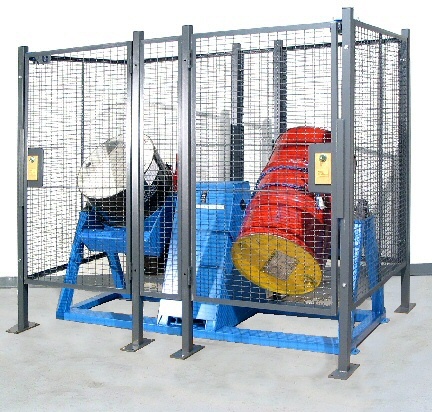 Enclosures for Morse End-Over-End Drum Rotators have a safety interlock to automatically shut off the drum rotator when the gate is opened.